NEW YORK: Beyond the gear, technology, bit rates, and acoustics, the unifying element common to all AES members and attendees is a pure love of music. Daniel Levitin, best-selling author; head of the McGill University Laboratory for Music Perception, Cognition and Expertise; musician; producer; and former stand-up comedian, will deliver the keynote address at the Audio Engineering Society 123rd Convention on October 5th at NY's Jacob Javits Center. Levitin's popular book, This Is Your Brain On Music (Dutton), a New York Times best-seller, serves as a jumping off point, for his address. He will explore a number of recent findings in how music affects our brain, our neurochemistry and our moods. Levitin also takes up the previously inexplicable phenomenon which enables human beings to identify the title and artist of certain songs by a single fleeting chord. "Delving into the reasons that music resonates so deeply with so many raises issues not often considered by audio industry pros, much less average music consumers," remarked AES Convention Committee Chair Jim Anderson. "We all know it happens, but it's difficult to explain. "This keynote address will provide our attendees with food for thought about the underlying purpose and long-term impact of their role in contemporary culture. Professor Levitin's off-beat perceptions may also spark spirited debate about neural processing and the science behind music's undisputed emotional power," Anderson adds. 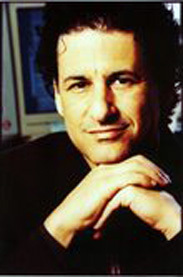 An AES member since 1985, Daniel Levitin has presented research papers and participated at a number of the organization's panels and events. The soft cover edition of his book will be released by Penguin in late September. The largest annual gathering of audio industry professionals in the United States, the 123rd AES Convention will be held at NY's Jacob Javits Center Oct. 5-8 2007.